Moisture has a very damaging effect on your attic. If too much water or condensation builds up in this space above your house, it could damage your roof or even compromise your home’s structural integrity. That’s why you should learn the signs that indicate your attic is too humid and combat this excess moisture as soon as possible! Control indoor humidity: When you generate moisture inside your home, it rises with warm air into the attic where it cools and condenses. To control this humidity, open windows and doors on pleasant days, turn on the exhaust fan when you shower or cook, and run a dehumidifier in the summer. Make sure exhaust fans vent outside: Kitchen and bathroom exhaust fans and the dryer vent should carry hot, humid air to the exterior. If your fans vent into the attic, have them rerouted. Ventilate the attic: Balanced ventilation allows air to continuously move through the attic, increasing evaporation to dry up excess moisture. Seal the attic floor: Air leaks allow warm, humid air to rise into the attic. When the air cools, it condenses and causes moisture problems. Seal all attic floor penetrations to limit this air movement. Insulate the attic: Adding insulation with a built-in vapor barrier is the final step in combating excess attic moisture. Make sure the entire floor is covered with a thick, even layer of insulation labeled R-30 or higher. If a trip into the attic reveals a lack of insulation, Tidewater Insulators can help. 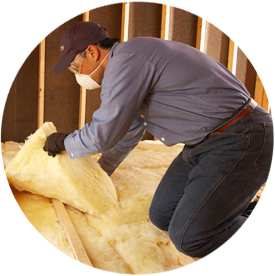 We provide air sealing and attic insulation to help prevent excess moisture in the attic. Contact us online or call 757-828-0024 to schedule services or to receive your free attic insulation quote!